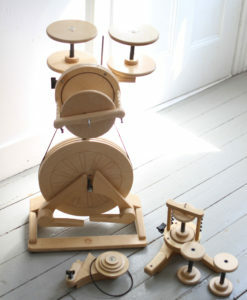 The SpinOlution Pollywog is fastest selling beginner-friendly spinning wheel on the market today. 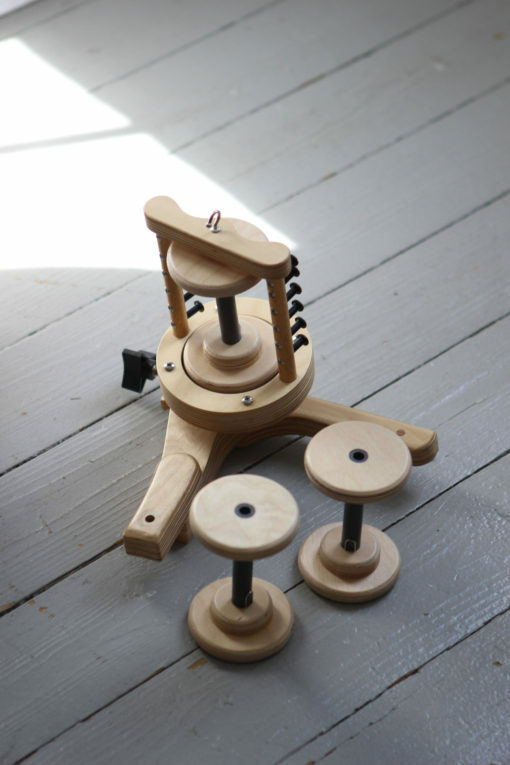 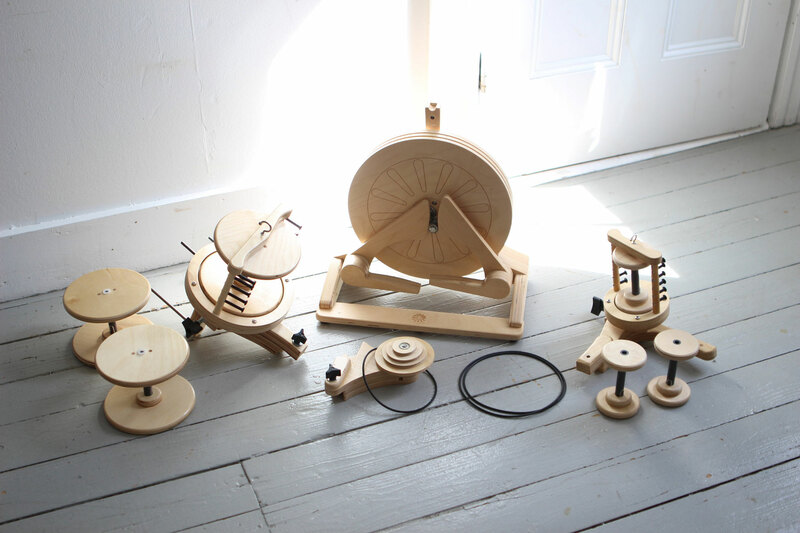 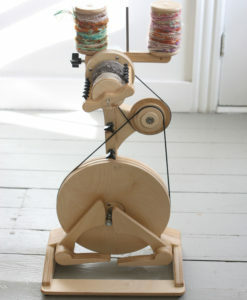 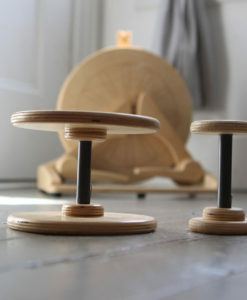 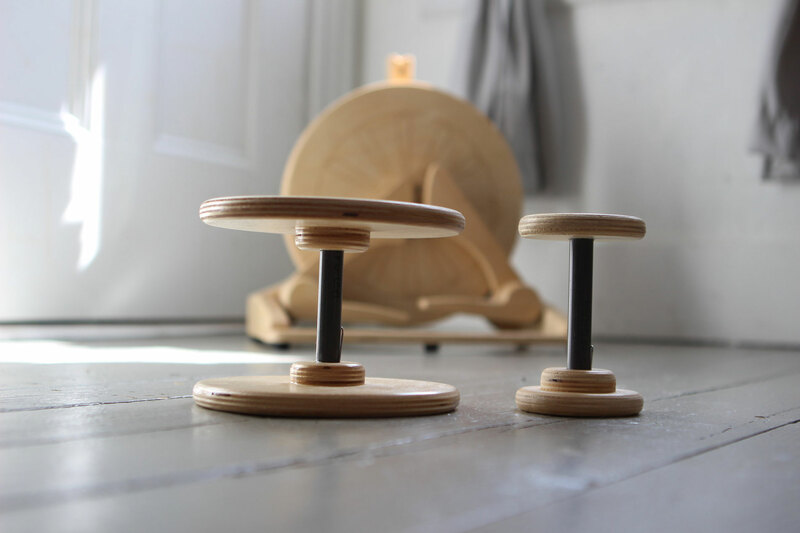 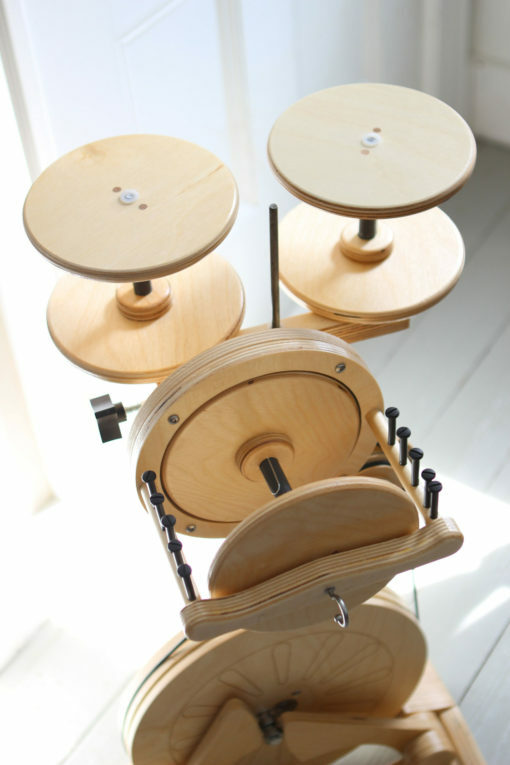 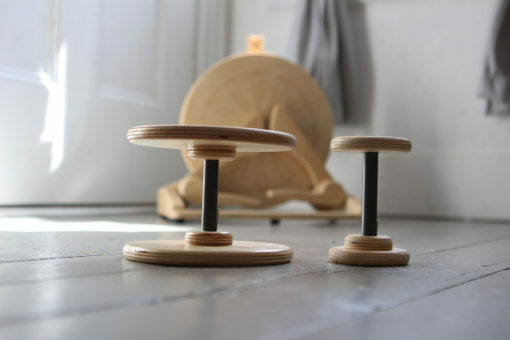 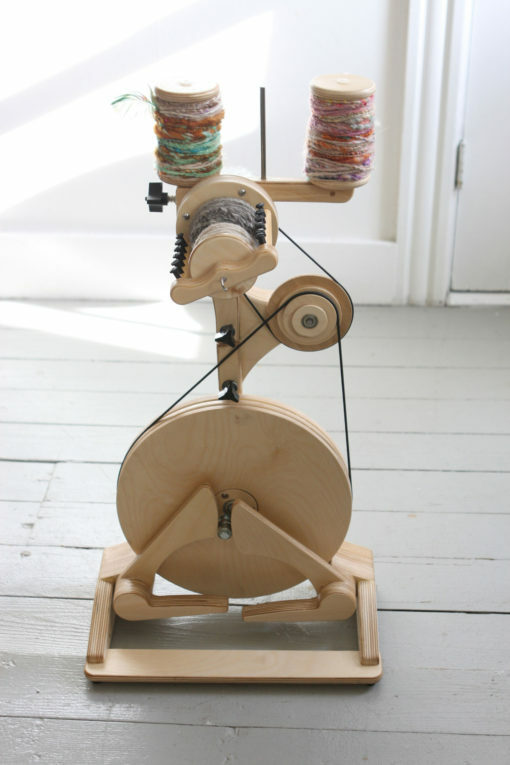 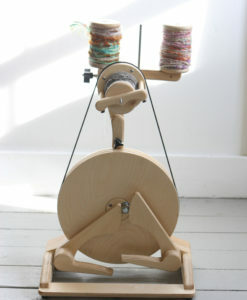 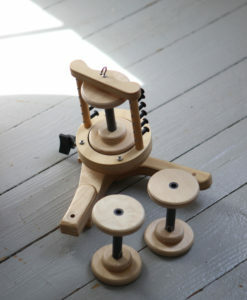 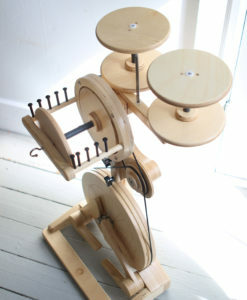 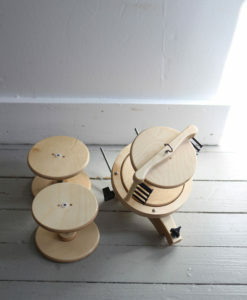 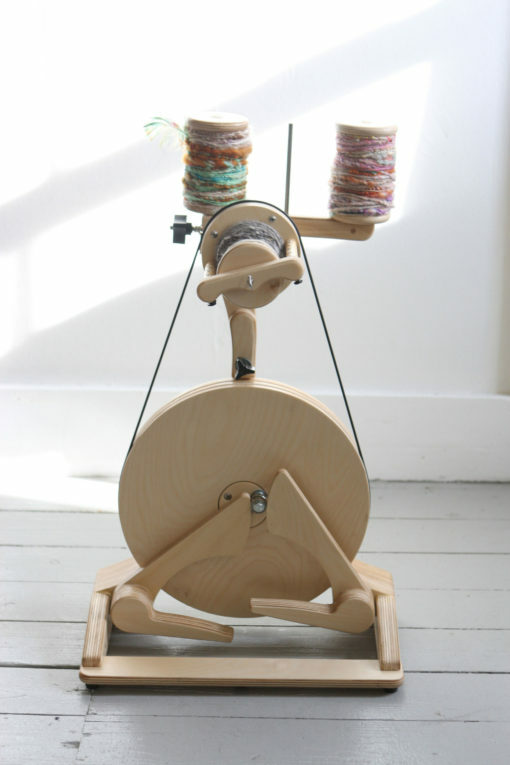 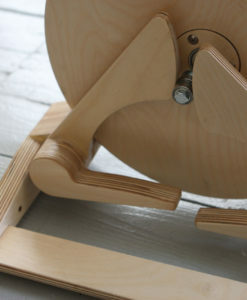 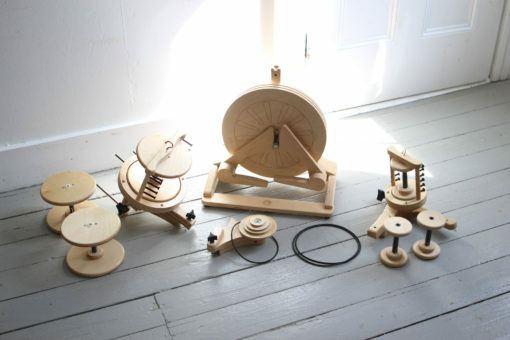 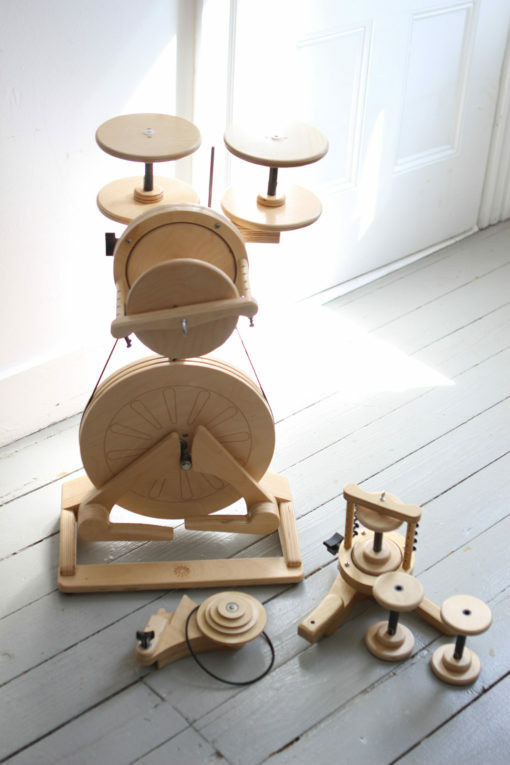 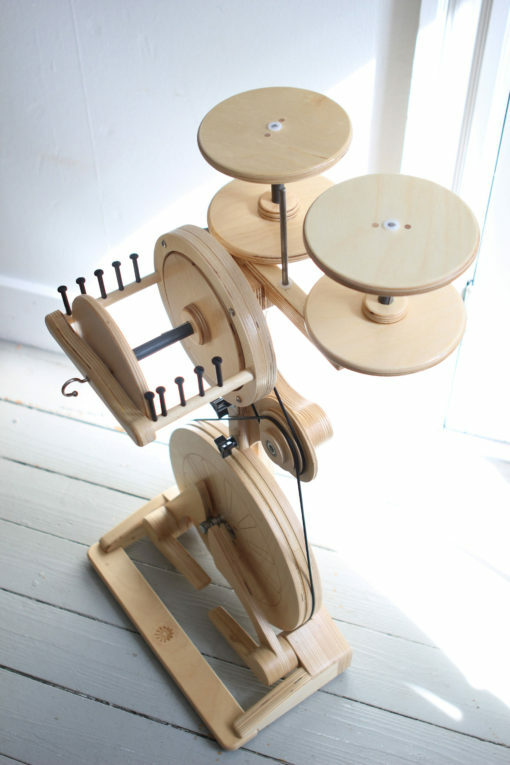 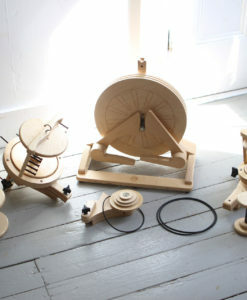 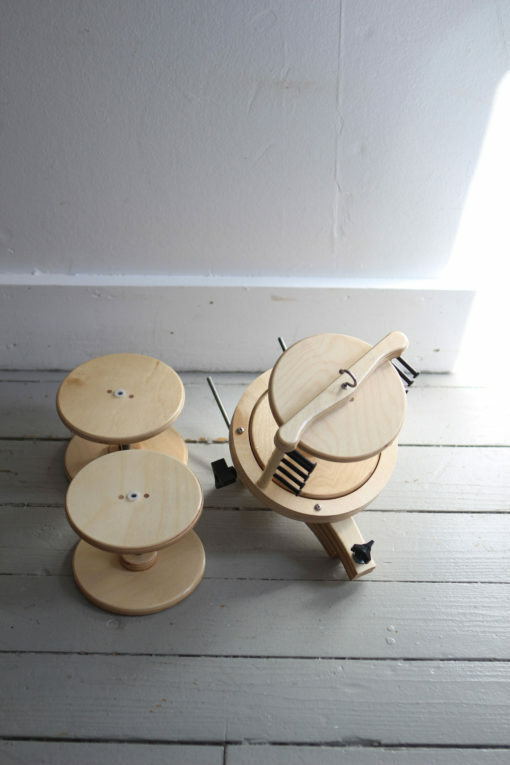 Spinners of all ages and heights can treadle with their toes on this budget-friendly wheel. 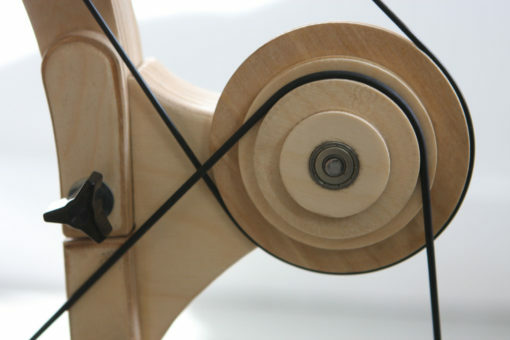 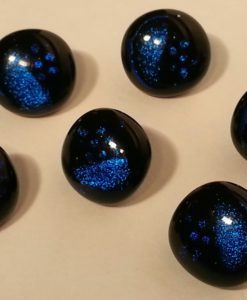 If you need a higher orifice to start, consider adding the new orifice riser accessory. 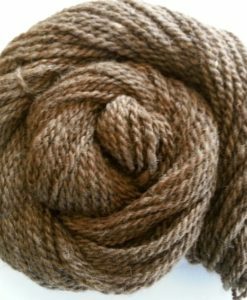 As you learn how to spin on the standard 4 oz flyer head, you can add the accelerator to your wheel for multiple faster ratios or upgrade to the 12 oz flyer head which can hold more yardage and chunky, bulky, art yarns. 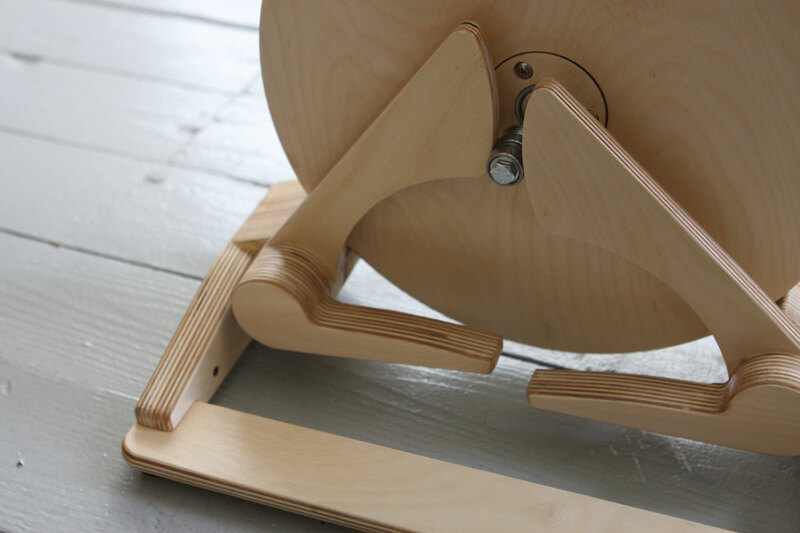 The by-passable orifice allows you to spin bulky, ply creative, or add embellishments – and the treadling is smooth & silent. 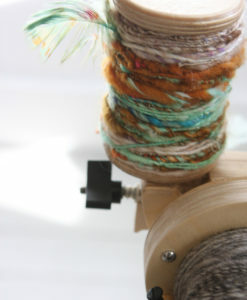 You can add a tube orifice accessory to your 4 oz or 12 oz flyer head if you prefer spinning with a closed orifice. 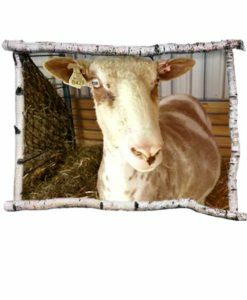 You may be able to try and buy the $419 Pollywog right here at the farm! 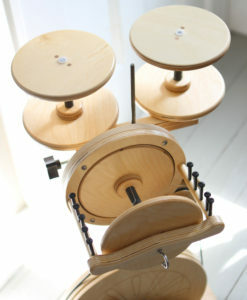 Please message us to see if we have one in inventory as these wheels are very popular. 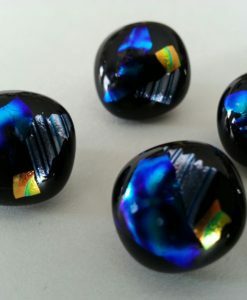 If we do not have one, we can usually have one within a week or two. 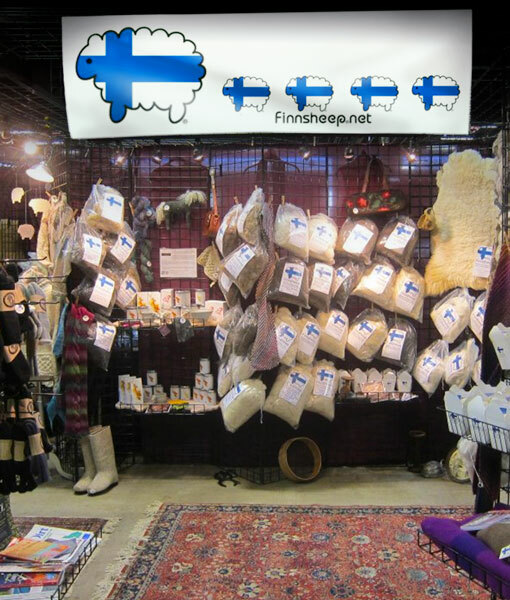 Contact us to set up an appointment and check on inventory availability. 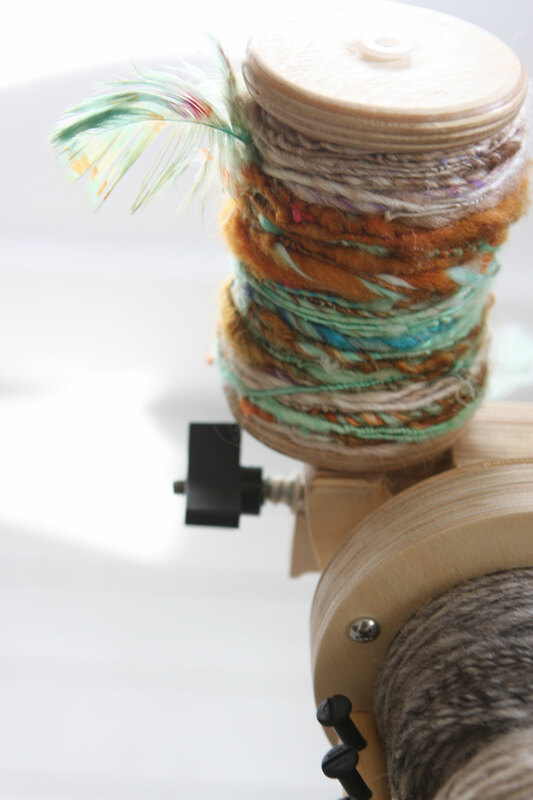 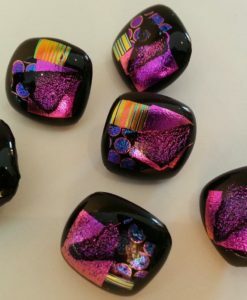 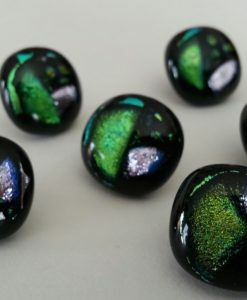 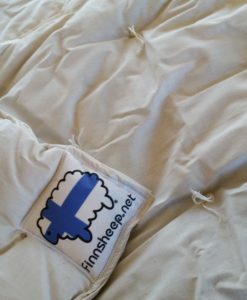 *Please note: The product can differ slightly from shown photos, since we try to improve our products continuously. 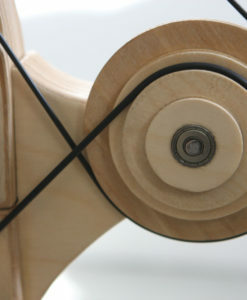 *Please note: The product can differ slightly from shown photos, since we try to improve our products continuously.